The deal would create a £20.8bn financial services giant. 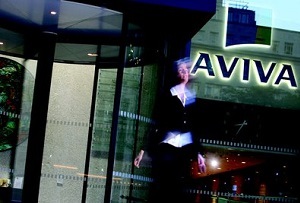 Aviva confirmed speculation that it was in talks to acquire rival Friends Life on Friday evening, a move that would create the UK’s largest insurance, savings and asset management business by customer numbers. The news has divided opinion with some hailing it as a sign of Aviva’s strength and others questioning the value of the merger. Aviva said that customers will benefit from the more diverse product range that would come with being part of a new, larger group that would be worth an estimated £20.8bn. It added that increasing the amount of assets under management would boost Aviva’s profits and that the new group would have a ‘greater capacity to invest and innovate’. What are the terms of the proposed deal? Aviva would acquire all of the shares of Friends Life by offering shareholders 0.74 of its own shares for each Friends Life share. They would also receive cash equivalent to a 2014 Friends Life dividend. Aviva says this would give Friends Life shareholders a 15% premium based on Friday’s respective share prices. It has until 19th December to make a firm offer. ‘We haven’t got anything like enough information to go on,’ Philip Meadowcroft, Aviva shareholder and founding member of the Norwich Union Policyholders’ Action Group, told City AM, adding that he had no idea whether it would be a good deal for shareholders. What’s happened to the share prices? As expected Friends Life has enjoyed a boost, jumping 7.22% to 372.8p at last count. Aviva investors have been less impressed – shares dipped almost 4% to 518p. Aviva employs 28,000 globally and 12,000 in the UK and Friends Life has 3,500 staff, mostly in Britain. The Times reports analysts think the deal could threaten 2,000 jobs. Barrie Cornes, an insurance analyst at Panmure Gordon, said the deal could create £100m of savings. ‘Some of those savings will come from things like IT, but it’s a people business, so the vast majority of it will be from losing roles,’ he told The Times. At the top it’s expected that Aviva’s management team would hold on to the chairman, chief executive and chief financial officer roles in the newly created group. Friends Life chief exec Andy Briggs is expected to stay on in another role.